Home » Posts tagged with "animal rights law"
VANCOUVER – The Supreme Court of British Columbia has granted Animal Justice and Zoocheck leave to intervene intervene in the Vancouver Aquarium’s lawsuit against the Vancouver Park Board. The two organizations argued in court for the ability to intervene on Friday, September 8 with the favourable decision coming down late in the day. The Aquarium is seeking to strike down the Park Board bylaw banning the Aquarium from confining whales, dolphins, and porpoises in its facility in Stanley Park. Animal Justice and Zoocheck will focus on dismantling the Aquarium’s troubling legal argument that confining cetaceans is a form of expression protected under section 2(b) of the Canadian Charter of Rights and Freedoms. If confining animals for entertainment is found to be a constitutionally-protected form of expression, there could be drastic consequences for animals. It would become difficult, if not impossible, to pass laws protecting animals from being confined as those laws would be vulnerable to legal challenge. Animal Justice and Zoocheck will submit to the court that confining cetaceans should not be considered ‘expression’. The organizations rely on well-established case law stating that expression that is violent or is connected with violence is not protected by section 2(b) of the Charter. Capturing and confining whales and dolphins are forms of violence, in that they involve the coercion and involuntary captivity of living beings who have complex thought, the ability to suffer, and the capacity for self-determination. Confining cetaceans has been shown to cause significant physical and psychological harm to them. Animal Justice is a national animal law non-profit that leads the legal fight for animals in Canada. Zoocheck is a Canadian-based international charity that works to protect wild animals in captivity and in the wild. Animal Justice and Zoocheck are represented by lawyers Arden Beddoes of Farris Vaughan Wills & Murphy LLP, and Benjamin Oliphant of Gall Legge Grant Zwack LLP. The Animal Justice and Zoocheck application to intervene can be downloaded here. The Aquarium’s petition can be downloaded here. The Parks Board’s response to the petition can be downloaded here. Cover photo by Jo-Anne McArthur / We Animals. 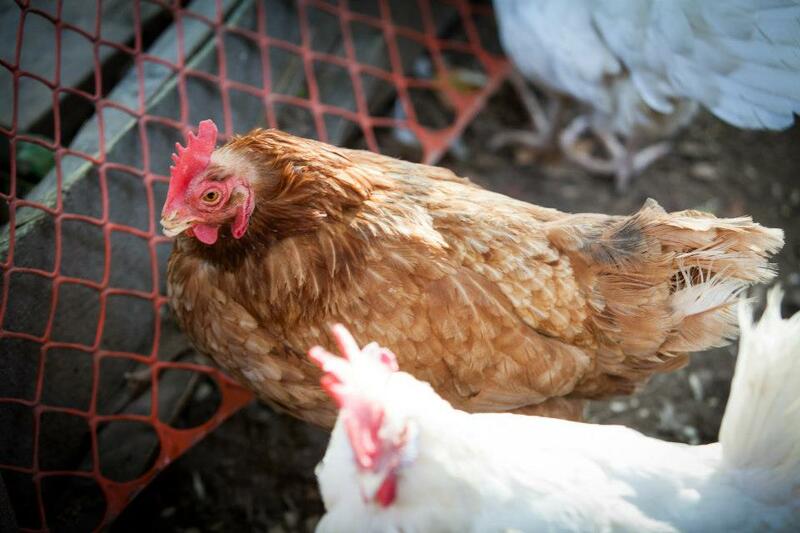 The National Farm Animal Care Council (NFACC) has released its draft code of practice for the care and handling of chickens used by the egg industry. Our government doesn’t regulate animal agriculture, choosing instead to fund the industry’s creation of its own codes of practice. Although these codes of practice aren’t enforced, they are the closest thing to we have to on-farm rules, and have actual and potential legal significance. NFACC is currently accepting comments from the public on its draft code of practice for egg-laying hens before it releases the final version later this year. We encourage everyone to take a moment to provide feedback; even if our feedback isn’t heeded, it’s important to make it evident that the public is paying attention and is concerned by rampant cruelty in the industry (which occurs even when best practices are followed). Comments are due August 29th. We have identified some specific concerns with the draft code below. It’s worth pointing out that, from the beginning, the code of practice process is tainted by conflicts of interest and a lack of credibility; the codes are created by industry, for industry. For example, the “Scientific Committee”—which is supposed to provide an unbiased review of the scientific literature—contained Bernadette Cox, who is not a scientist, from the Egg Farmers of Canada. On her LinkedIn profile she writes that she edited the scientific review prior to its public release. 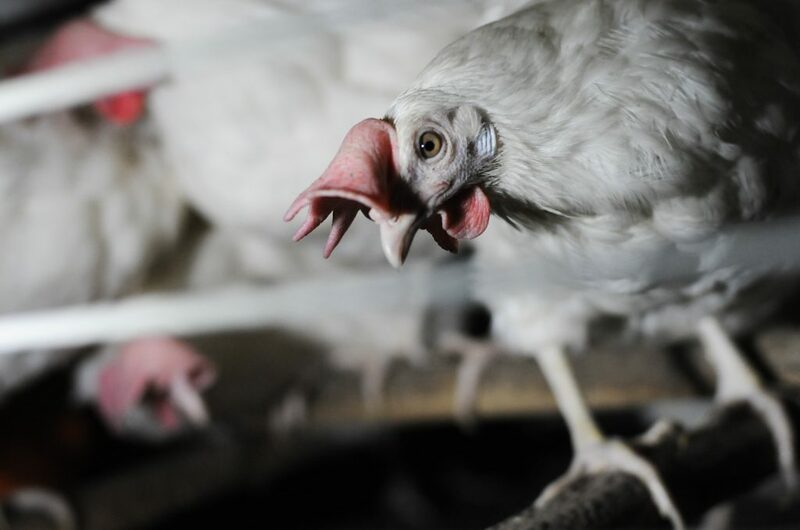 The token veterinarian on the code development committee, Mike Petrik, has defended poultry industry cruelty that eventually resulted in an animal cruelty conviction. Other members on the committee are similarly closely tied with or funded by the industry. As such, both the scientific review and the draft code of practice should be viewed with some degree of skepticism. Likely the largest concern shared by many animal advocates is that the draft code doesn’t eliminate cages. 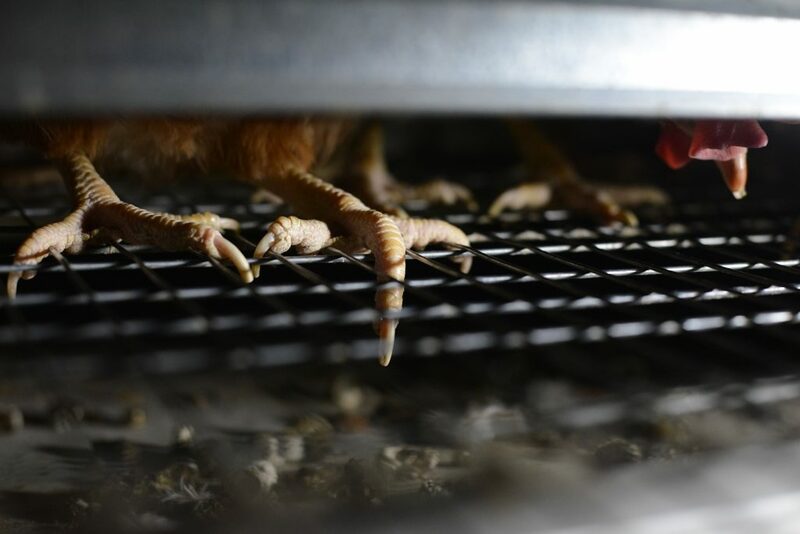 Instead, it suggests that cages be made larger and equipped with some rudimentary furnishings, like perches, to meet some of the basic hens’ biological needs. Vancouver Humane Society has a good summary of the concerns with so-called furnished cages. However, it’s important to be aware that none of the proposed systems are without significant welfare concerns; cage-fee hens are crowded, kept in unnaturally large groups leading to stress and aggression, at a greater risk for disease, exposed to poor air quality, and still denied most things—like going outside—that make life enjoyable. The draft code doesn’t require birds have safe and regular access to pasture and/or the outdoors. The space allowed for each bird is miniscule. They will be so crowded that they will barely be able to express natural behaviours like stretching their wings. Worse, the space allocated is considered a recommendation, rather than a requirement—meaning birds can be even more crowded. Chickens would naturally live in small social groupings with a defined pecking order that maintains peace and calm. The draft code doesn’t cap flock sizes; tens of thousands of birds may live together. As with other animals, like cats and even humans, chickens find large crowds chaotic and stressful. In a natural setting, hens would peep to their chicks before they’re hatched, communicating and establishing a bond. After hatching, chicks would stay close to their mothers, finding comfort and protection, and learning skills. The draft code is entirely silent on natural social groupings, assuming and permitting that chicks will be hatched in hatcheries where they will never meet their mothers, find comfort, or learn important life skills. The draft code doesn’t require natural lighting or sufficient periods of dark for rest. Although hens prefer small, private nests, the draft code allows large communal nests. Like us, chickens enjoy a varied diet and are biologically compelled to seek this out. The draft code doesn’t require access to a varied or even a palatable diet. The draft code permits chickens having their beaks cut off without painkillers, which can lead to both acute and chronic pain. The draft code permits workers to dangle chickens upside down—despite that this is a well-documented stressor—instead of carrying them upright. In fact, that draft code even acknowledges that chickens find being upside down stressful, yet doesn’t prohibit it. The draft code also doesn’t require workers to set hens down on their feet.